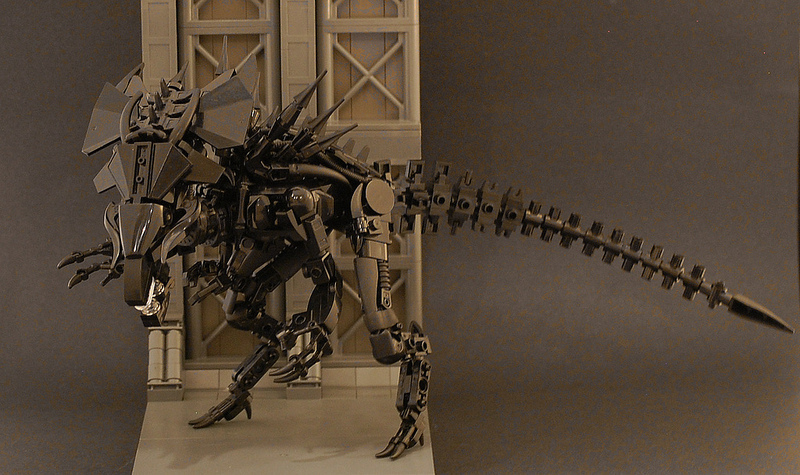 While most LEGO sci-fi builders inspired by the Alien franchise tend to build the military hardware from James Cameron’s Aliens, some builders go for the industrial aesthetic of Ridley Scott’s original movie. 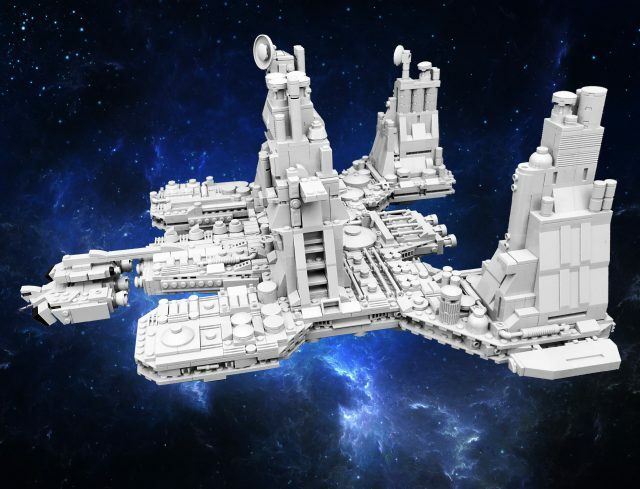 TBB’s own Daniel Fortine has not only built the Weyland-Yutani corporation’s cargo ship Nostromo, he’s built the massive ore refinery that Ripley and her crew are hauling when they make an ill-fated stopover on LV-426. We asked Daniel to share his huge model with our readers first, along with a bit more info you won’t find anywhere else. ALF, short for Alien Life Form, was a sitcom that ran in the ‘80s for almost 100 episodes. ALF comes from the planet Melmac, and throughout the series, he longs for the taste of savoring the family cat as a meal, since cats are the equivalents of our cattle in his home planet. 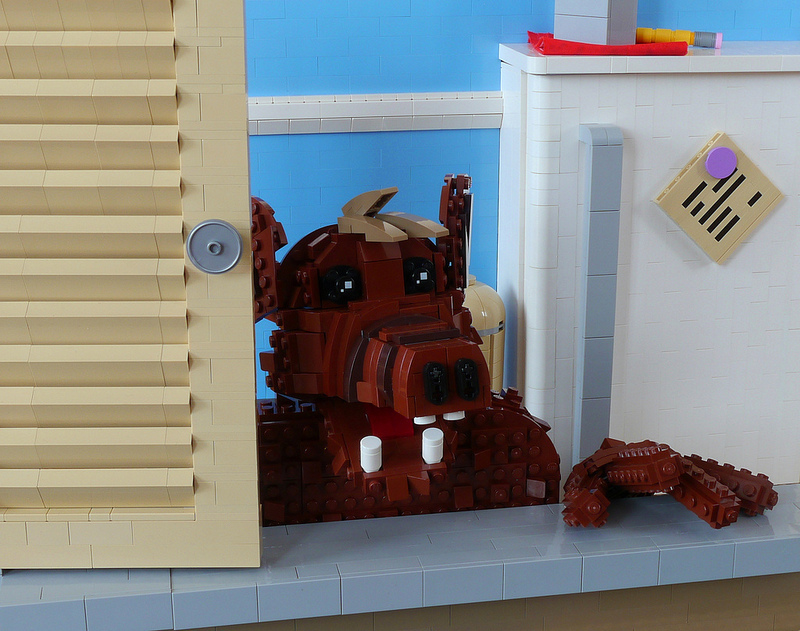 The instantly recognizable ALF is covered with brown fur and has a rippled snout, which means being built with LEGO bricks is not an easy feat to pull off, but it’s executed nicely by Marcel V for this scene. The core and atmosphere from the series are captured quite nicely with the familiar pastel-themed walls and TV stage prop windows with horizontal shutters in the foreground and part of a refrigerator at the back. These Cryo Pods built by Peter Reid evoke the eerie feeling of Ridley Scott’s Alien hiding in the corner ready to pounce. The abundant use of grey paired with dramatic lighting gives off the feelings of being far away from earth and long travel in cold reaches of space. 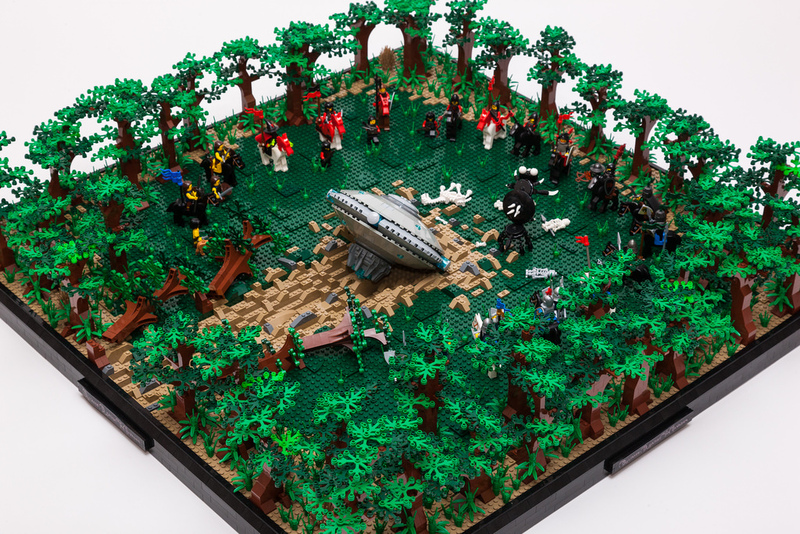 The scene is built with almost no LEGO studs visible, which also tricks our minds to believe that this could be larger than what it actually is — at first glance almost close to a movie-scale prop. In a few hours it’s gonna burst through your ribcage, and you’re gonna die. Any questions? 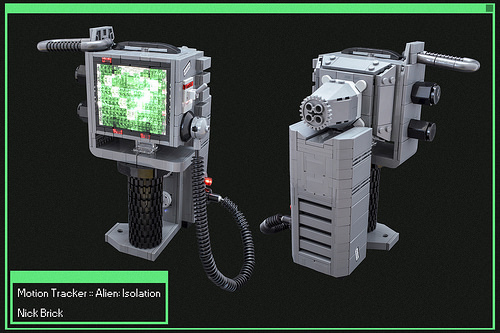 As a prize for the Space Jam contest he’s currently hosting on Flickr, Micah Beideman has built an excellent chestburster from the various Alien movies. While the Arvo Bros’ chestburster remains one of the best large-scale versions, this one might be my new favorite tiny version. Micah has used a minimum of parts with wise parts selection to capture the slithering organic shape of the nasty creature. The tan Technic gear for the creature’s teeth is particularly well-placed. 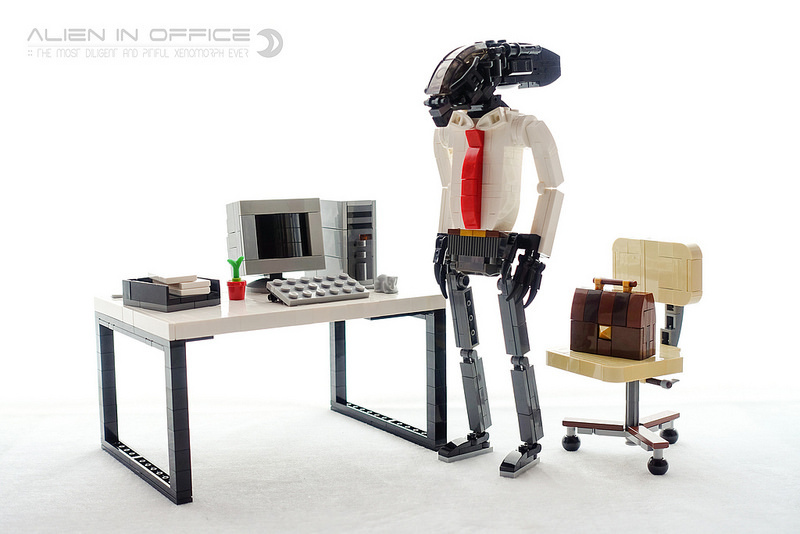 One of my favorite movies of all time is Aliens, and I get giddy when I see any one of them being created with LEGO bricks. There’s just a feeling of biomechanics involved from H.R.Giger’s original design and the eventual creatures we see on the big screen that makes it believable with a brick built design. This rendition by Carter Baldwin is quite amazing as the whole build is supported on its own legs. All we need now are some flamethrowers and Ellen Ripley to show up and get this party started! While these strange shapes don’t look anything like inkblots, they’re as good as any Rorschach test to me. 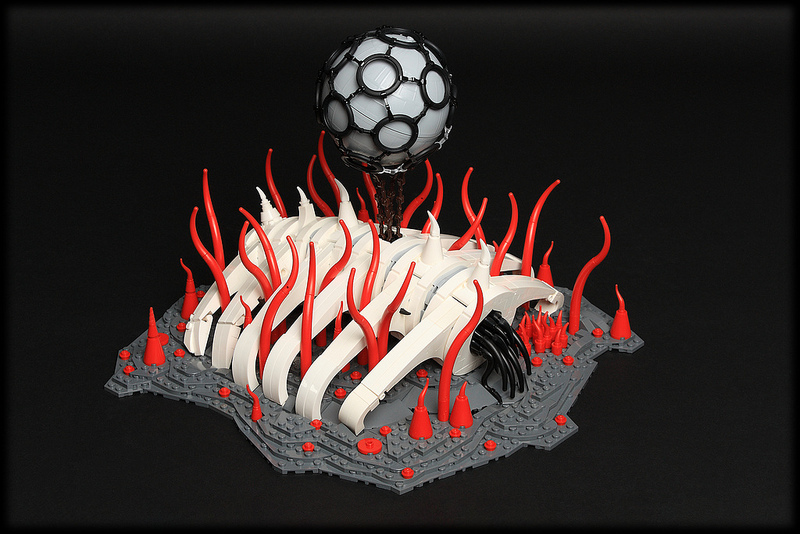 It’s titled “Rot” by builder Sheo, and it’s an enigmatic scene to test our visual perception of what we see. If had to guess, I’d say that it’s partial skeletal remains of an alien lying in decay in a faraway galaxy. I can’t say for sure what the balloon-like piece depicts but I can say it’s an ingenious use of parts with LEGO rubber tires held together by mechanical arms that we frequently see on droid figures. 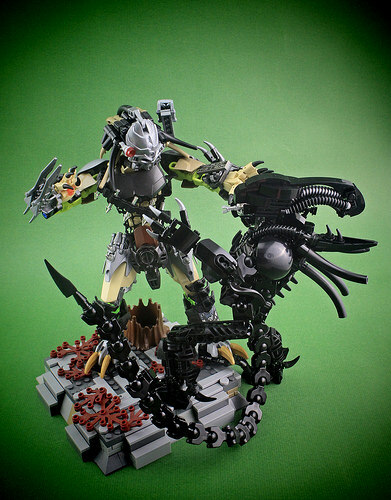 This pair Alien and Predator figures by Grant Masters are only a little larger than minifigure scale, which is remarkably small for such detailed brick-built characters. 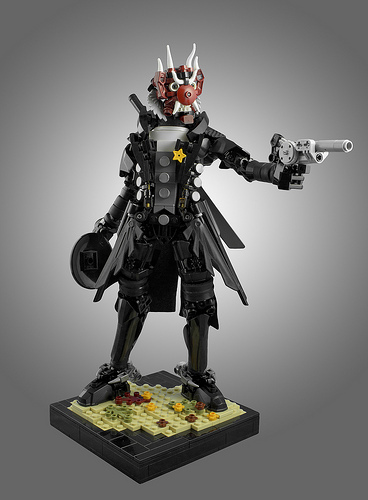 Even more impressively, though, Grant says that they contain only legal connections–that is, connections you might find in an official LEGO set. There are lots of clever bits, but one of the most amusing has to be Grant’s use of microfigs for the Predator’s legs. This is Bob the Alien. Bob the Alien is a salesman. He manages a whole department. Bob works for his manager David Liu. David taught Bob everything he knows and helped him to be where he is today. In fact, one could say Bob only exists today because of David. It’s always fun when we find builds that come with a little bit of a story. This scene, “Alliance Against the Invader,” by Jon Stead, is one of those builds. According to Jon, the year is 1178 and a medieval kingdom has been rocked by an object falling from the sky. A flaming saucer smashes into the forest and the alien invader it contains is ready to kill. Now it’s time for warring factions to come together to fight the beast and save the kingdom! 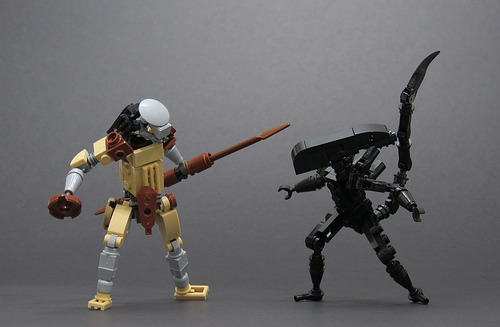 Built from constraction elements–better known as Bionicle and Hero Factory–these detailed figures make excellent use of the system’s posable joints to picture this duel with a true sense of movement. Mid-swing, the Predator appears to have the upper hand for the moment, but never discount the Alien with its menacing tail. The green background builder cid hsiao has posed them on lends an eerie sense of unease to the scene, making this truly seem like a battle between otherworldly creatures. Sometimes I wonder how characters in horror films manage to make the worst decisions. Then I played as far as I could get in the terrifying first-person perspective game Alien: Isolation, and it all makes sense. In the heat of the moment, good decisions are hard to come by, and you don’t always have as much information as you need. 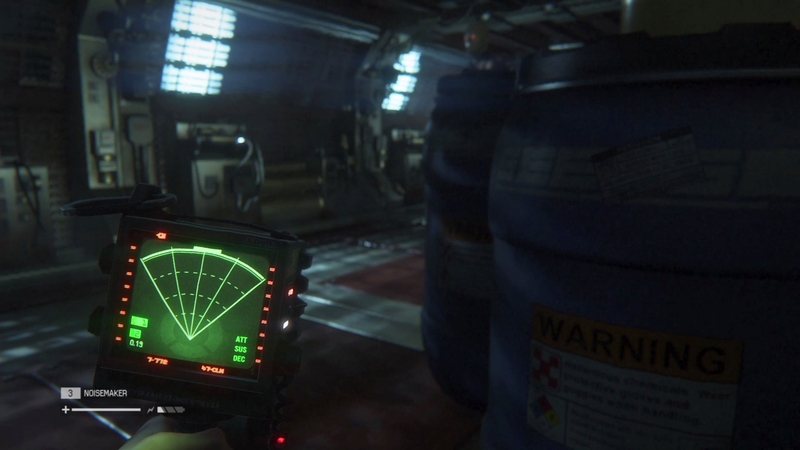 For example, the motion tracker, like most of the equipment found in the game, is true to the aesthetic of the Alien film franchise and while incredibly useful, has definite limitations. Nevertheless, it’s a great device, and I decided to replicate this tool with LEGO. The screen and every light on the in-game model lights up on my LEGO replica. I also had the chance to use a technique I wanted to use in a prop replica for a while now; the coiled wire on the right side of the device was made with a flexible hose and numerous Technic worm gears.